As man's best friend, dogs are frequently lauded for their loyalty and dedication to their people. Some dogs, however, are just as loving and steadfast with their canine companions. As pack animals, dogs can form strong bonds with other dogs or household pets, and when those bonds are created, they are impossible to sever. This story of two best canine friends is a perfect example of dogs' faithfulness and devotion to those they love. 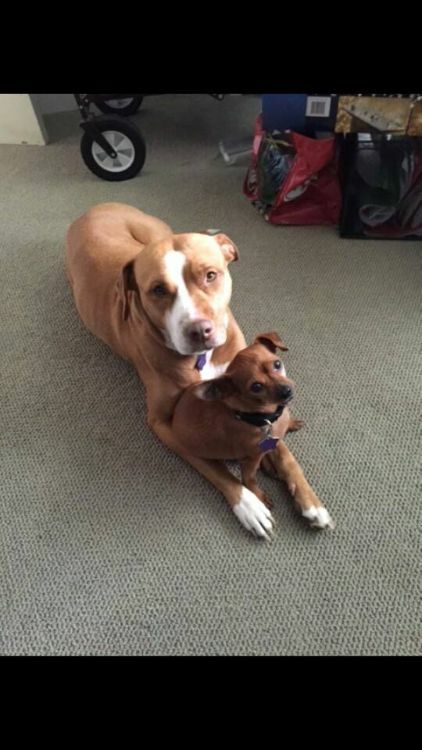 In 2014, a female pit bull and a male chihuahua were surrendered together to Rocket Dog Rescue in San Francisco. Merrill, a pit bull, suffered from a urinary tract infection and needed emergency surgery to live. 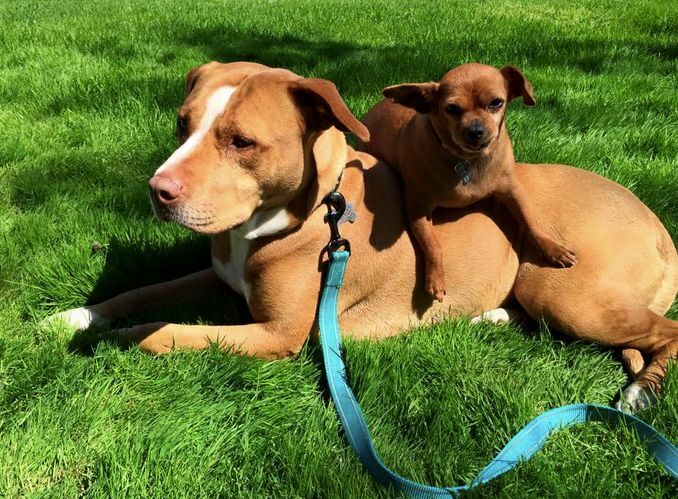 During Merrill's recovery, her best friend Taco was always by her side, reassuring her that they would always be together. 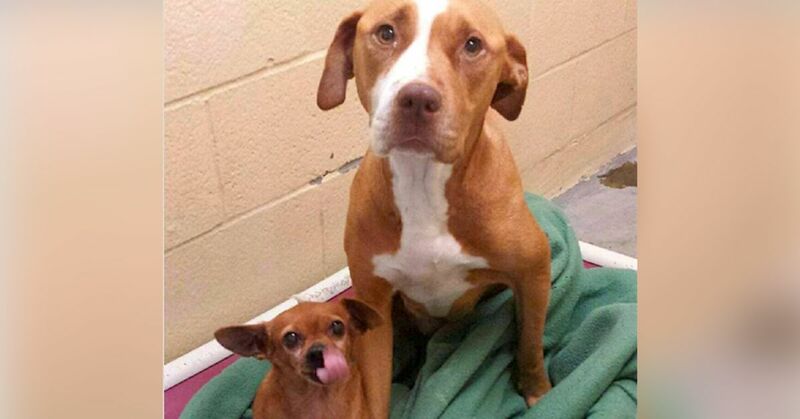 The rescue staff was amazed at the strength of the bond between the elderly Taco and the younger Merrill. The veterinarians who performed Merrill's surgery discovered she had been used at least once for breeding and was most likely surrendered to the shelter with Taco because of her costly infection and her inability to breed again. Taco was not without his medical challenges; he had dental disease and asthma, and he only had four teeth. 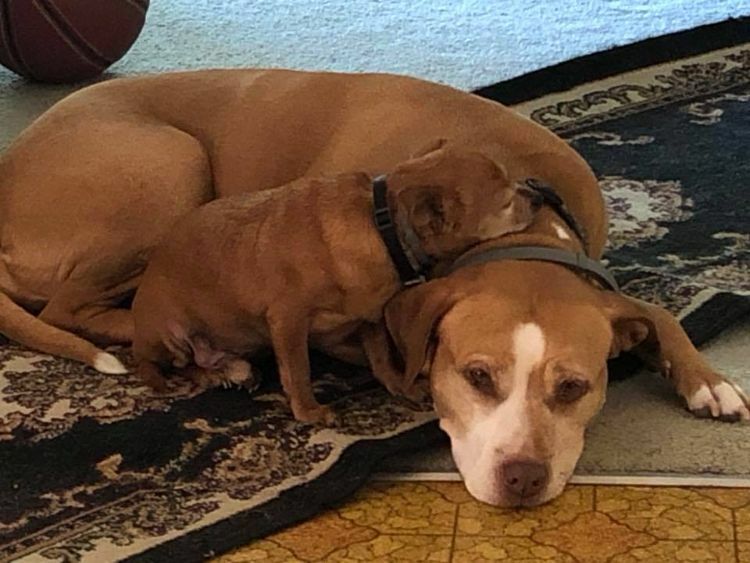 After some time at the rescue, both dogs found comfort in their relationship and slowly healed from their medical issues. 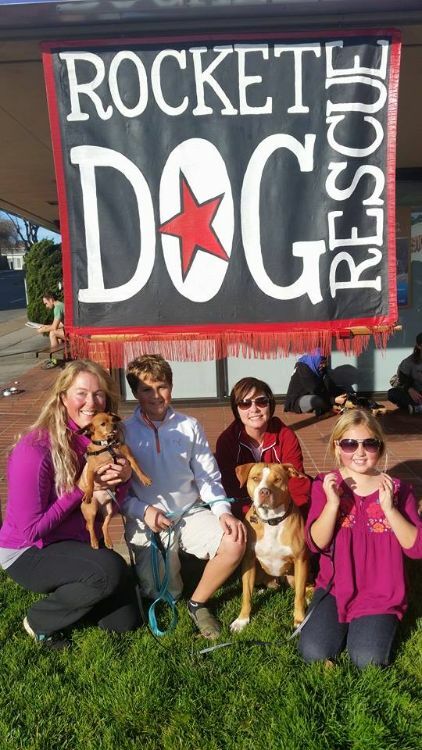 The next challenge for Rocket Dog Rescue was finding an adopter who would be willing to take both dogs together. Rescue staff noted that any time Taco and Merrill were apart, they would begin immediately crying for each other. While the search continued for the right adoptive family, Merrill and Taco were placed with a loving foster parent. Finally, the right family arrived at the rescue and fell in love with Merrill. 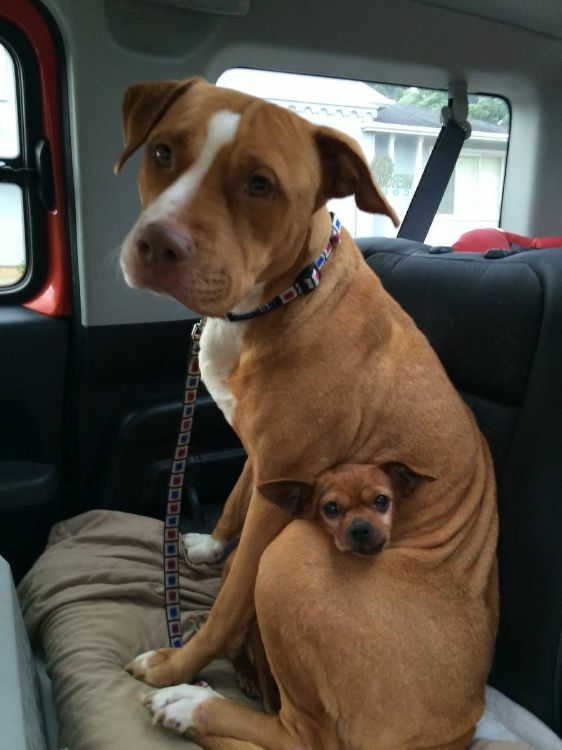 When they saw how much Merrill needed Taco, the family agreed to adopt the chihuahua too. 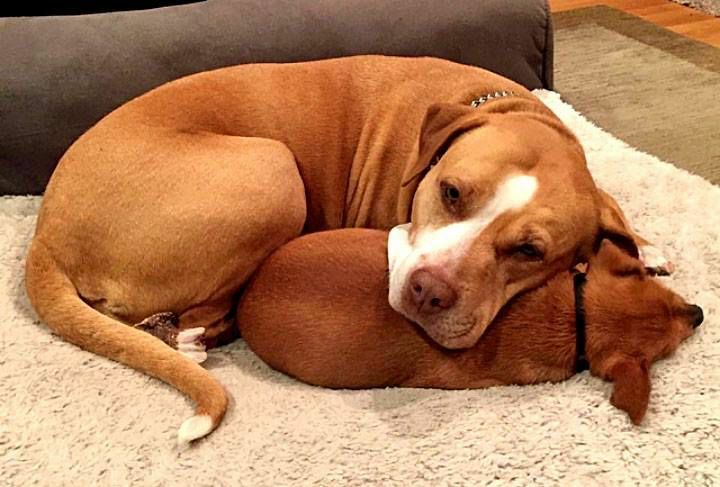 After a lengthy wait, these two best friends found a loving family willing to keep them together. At first, Merrill and Taco settled into their new home with ease. Unfortunately, Taco became ill, and further testing revealed he had an enlarged heart and excess fluid surrounding the organ. Taco's family took him to a cardiac specialist, and with the help of medications and Merrill's supervision and support, Taco began to improve. For three years, Merrill and Taco enjoyed their time together with their loving family. Sadly, in May 2018, Taco passed away. Merrill had a difficult time adjusting to this significant loss, but her adoptive family reported that she has since begun to perk up again. The power of love transcends all boundaries, and Merrill and Taco were living proof of that strength and devotion. Watch the video below for more pictures that celebrate the beautiful relationship these two dogs had.